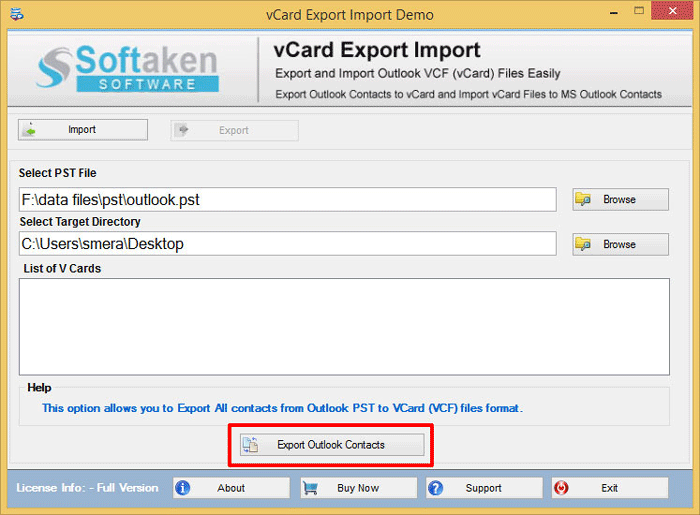 Step 1: Firstly click on Export option. 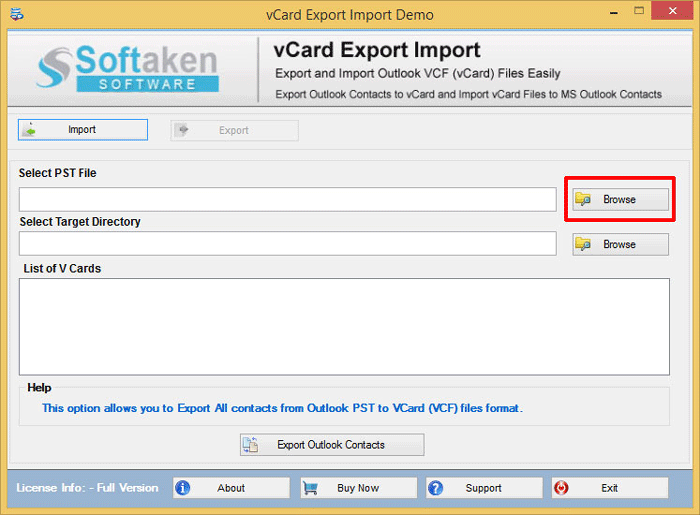 Step 3: Browse option to select target directory, where you want to save vCard file. 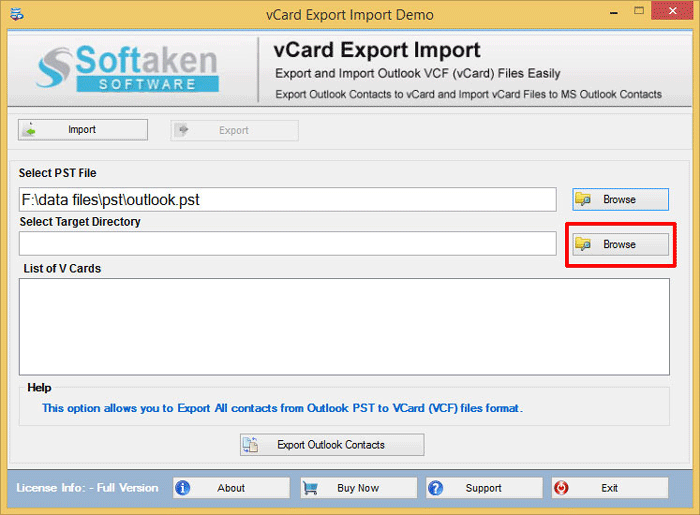 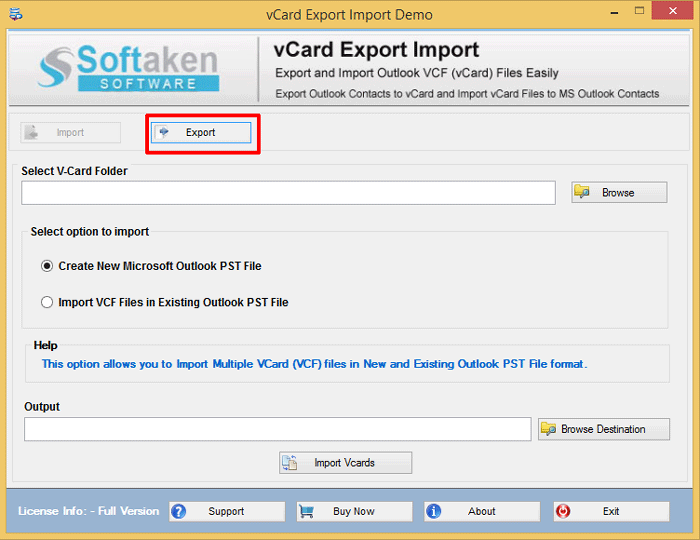 Step 4: Last, Click on Export Outlook Contacts button to export the VCF files.